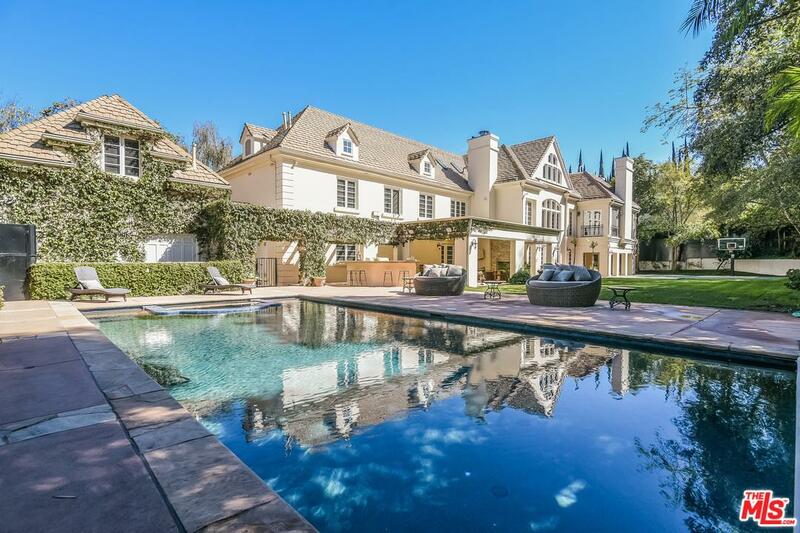 Description: magnificent gated estate in coveted royal oaks. the custom-formed circular driveway and grand foyer reminiscent of a first-class resort invite your guests to abundant views of the sprawling entertainer's backyard. the 3/4 acre flat lot easily encompasses the vast swimming pool, jacuzzi spa, outdoor shower, outdoor kitchen, covered heated loggia, observation deck, terraced vegetable gardens and beautiful mature grounds providing absolute privacy. professional chef's kitchen with wolf/subzero appliances, separate wet bar, breakfast nook, dining and living rooms boast 20' vaulted ceilings. 4 large ensuite bedrooms, including a master with his/her walk-in closets, air-jetted soaking tub and oversized steam shower, an art studio/workshop, laundry room and oversized 3-car garage complete the downstairs. a family/game room, den/theater room, home office with balcony and 2 additional ensuite bedrooms are located upstairs. wireless/app systems for sound, security/camera, 4-zone hvac throughout. Listed By: Wilson Tsai of Kelton Group, Inc.